This 3-tier wedding cake was created for the wedding of Terri-Ann and Stephen. Bottom tier- vanilla bean, middle tier- red velvet and top tier- carrot cake. 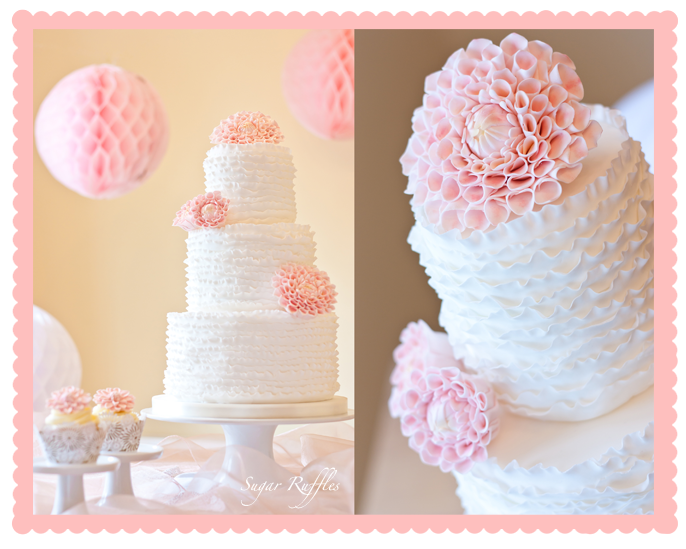 Terri-Ann had fallen in love with the Dahlia and Ruffles wedding cake I created for Wedding Cakes & Sugar Flowers Magazine (see below) and asked me to create this cake for her wedding with grey dahlia flowers to match her wedding theme. I love the combination of grey flowers with the feminine ruffles! 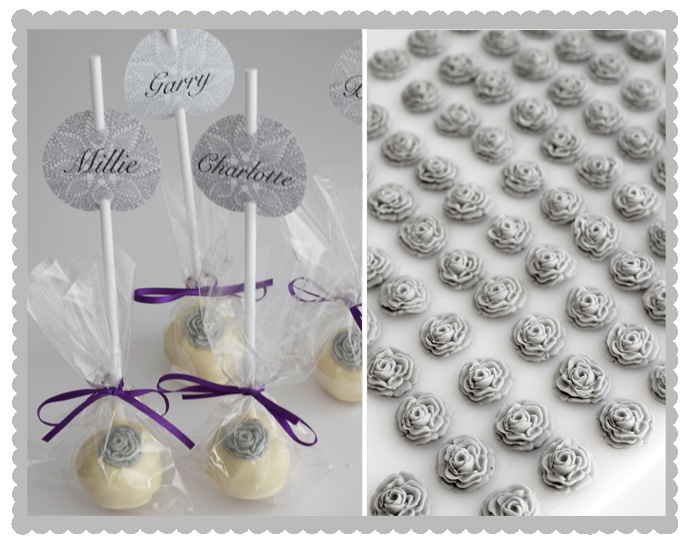 Each guest at the wedding was also treated to a white chocolate cake pop with a grey flower, individually wrapped and tied with cadbury purple ribbon to match the decor. Name tags were added to the cake pops so that they could be used as place settings for each guest. 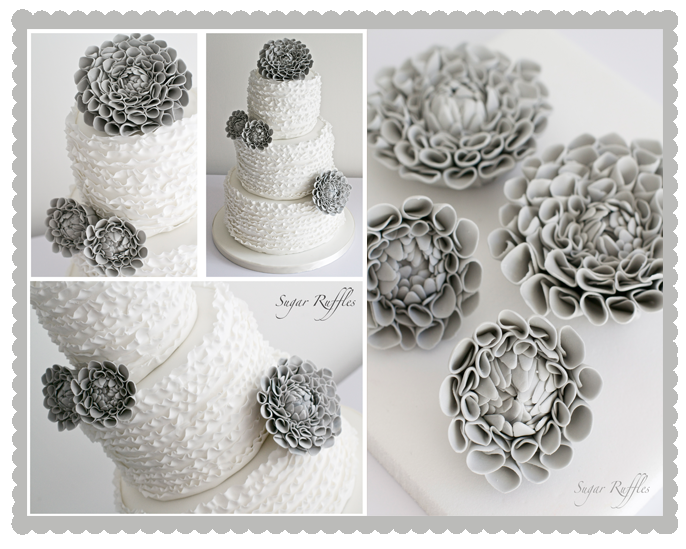 Some lovely feedback from Terri-Ann "Our beautiful cake was truly stunning and very tasty"
I'm loving the grey Dahlias. Very dramatic. The photo looks like it's black&white! Thanks Petra, yes they do have a black and white photo look to them don't they!